Memorial Day weekend is a great weekend to celebrate summer, be with family, and celebrate the brave and honorable veterans who have laid down their lives serving our country in the armed forces. Pittsburgh is a city that is filled with events, monuments, memorials, and activities celebrating and honoring veterans on Memorial Day. With so much going on, and so many people visiting, the streets of Pittsburgh can become difficult to navigate. Especially if you’re not from the Pittsburgh area, it can be a challenge trying to figure out where things are, let alone figure out how to get there. 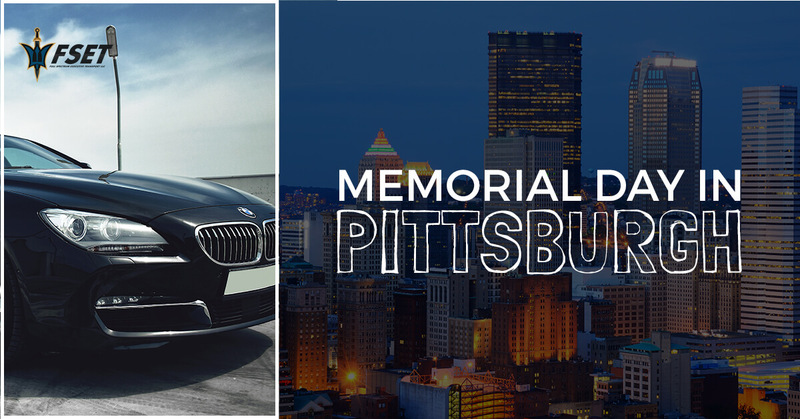 That’s why a car service is a perfect option to prevent yourself from missing out on the Memorial Day festivities in Pittsburgh. Lawrenceville is a great part of Pittsburgh to visit and features a Memorial Day parade, May 28 at 10 a.m. It is Lawrenceville’s 110th annual Memorial Day Parade, and it is not to be missed. It features marching bands, the Pirate Parrot, classic cars, and more to celebrate this special occasion. This parade is truly near and dear to Pittsburgh, and a wonderful way to honor those who have served our country, as well as celebrate the beginnings of summer. Full Spectrum Executive Transport’s car service will help you and your family arrive safely and find a great place to watch the parade, all while avoiding the headache and chaos of event traffic. After the parade, there is a Memorial Day service and community picnic held at the Allegheny Cemetery, the final resting place of over 15,000 veterans. There will be a military service held at the Soldier’s Memorial inside the cemetery overlooking the National Civil War lot in Section 33. After the service, there will be a Lawrenceville community picnic with music, giveaways, refreshments, face painting, food trucks, and a car show. Perfect for the entire family! One of the biggest events of Memorial Day in Pittsburgh is the Soldiers and Sailors Memorial Hall and Museum Memorial Day Celebration. It is a celebration for fallen Pennsylvania service members, and it is free and open to the public. It begins at 11 a.m., and features a ceremony for fallen veterans, a Sixth Regiment drum corps performance, and a concert by The East Liberty Presbyterian Church ensemble, The Brass Roots. This is a great event for the family. Kids can enjoy an obstacle course, a caricature artist, a bounce house, a balloon artist, a craft table, and more. This is not an event you’ll want to miss, and if you’re trying to get attend all of the Pittsburgh festivities, you’ll need a ride from one to another. Hire an experienced car service driver to get you from one event to another safely and quickly. For the full Pittsburgh Memorial Day experience, you do not want to miss any of these events. Full Spectrum Executive Transport’s car service will get you and your loved ones where you want to go comfortably and safely. Full Spectrum Executive Transport’s owner Terence Donnelly makes it a priority to hire veterans as drivers, and our company is a Service Disabled Veteran-Owned Small Business. With us, not only will you arrive to the events and activities you are wanting to attend, but you will have a comfortable, professional, and safe experience with someone who has spent part of their life serving this great country. 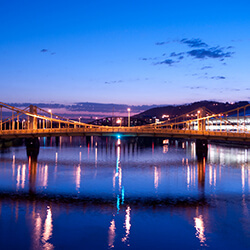 If you are looking for an unforgettable Memorial Day experience in Pittsburgh, do not put yourself through the headache of trying to navigate Pittsburgh by yourself. Be sure to contact Full Spectrum Executive Transport’s car service today.